at just after 5 a.m. in the morning as McGregor was leaving. it and then taking the phone with him as he got into a car to leave the hotel. serious charge for the crime because it’s considered property damage. was dismissed likely after the two parties reached a settlement agreement. If convicted, McGregor could face up to six years in prison and/or up to a $6,000 fine. 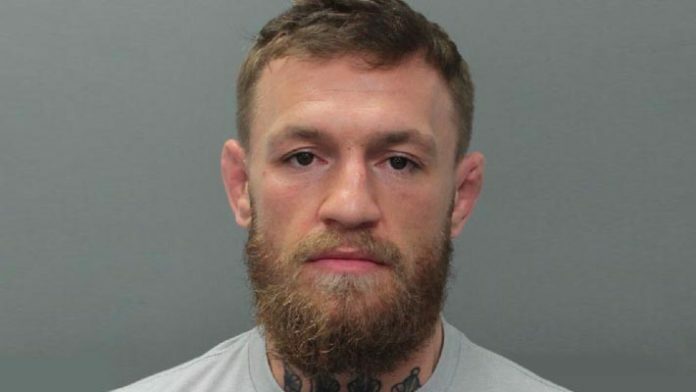 It’s highly unlikely McGregor will see any jail time over the arrest but perhaps more importantly is insuring that he doesn’t face a serious conviction that could prevent or hamper his ability to travel to the United States where he primarily competes for the UFC. trial date set for May 13.